Henderson, NV- Custom Cycle Control Systems Inc. is proud to introduce their newly engineered “Climax Hand Controls” package. Now for the first time, you can solve the “clean handlebar” dilemma with one complete package. You supply the bars…we supply the rest. 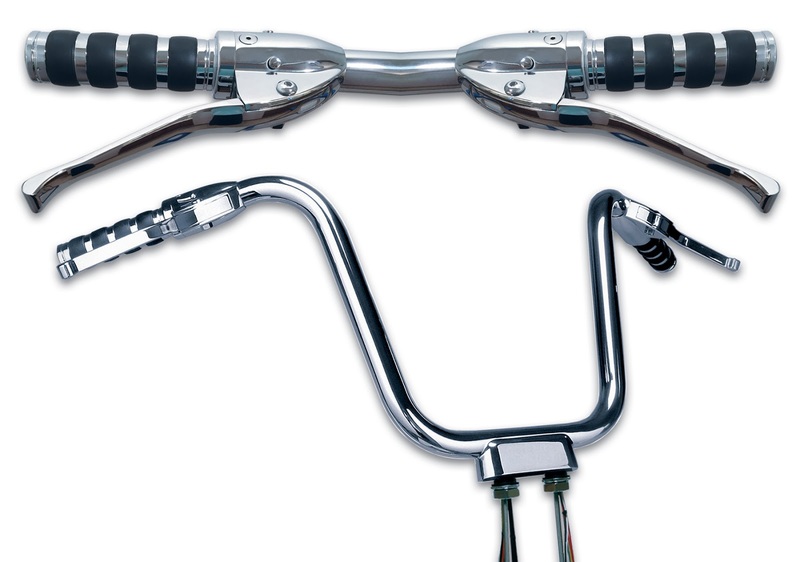 Climax Hidden Hand Control Systems produces by far the cleanest looking “self-contained” handlebar systems available. Designed to function as good as they look, these concealed handlebar systems will enhance the look of any bike, whether H/D, Metric, or Custom. The hand controls are completely concealed…All the lines, wires, and cables run through the bars and exit below the top tree. CCCS also has five different handlebar styles to choose from, ranging from old school drag bars to Ape Hangers. • All wires, cables & hoses come extra long so you can "cut to length"
For those interested in obtaining more information on other award winning products from Custom Cycle Control Systems, Inc., you can reach them at 866-438-2129 or 702-438-2129. Check them out online at www.customcyclecontrols.com or email them at info@customcyclecontrols.com.